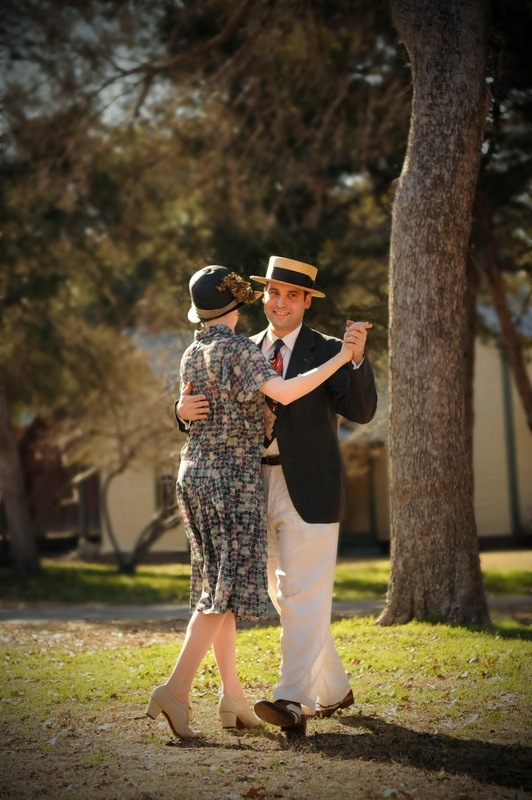 Don your best ’20s attire or walking whites and get ready to Charleston the afternoon away at the Inaugural Jazz Age Sunday Social with the Singapore Slingers and Razzmajazz as part of Dallas Heritage Village’s Family Past Times, Sunday, March 30, noon – 4 p.m. 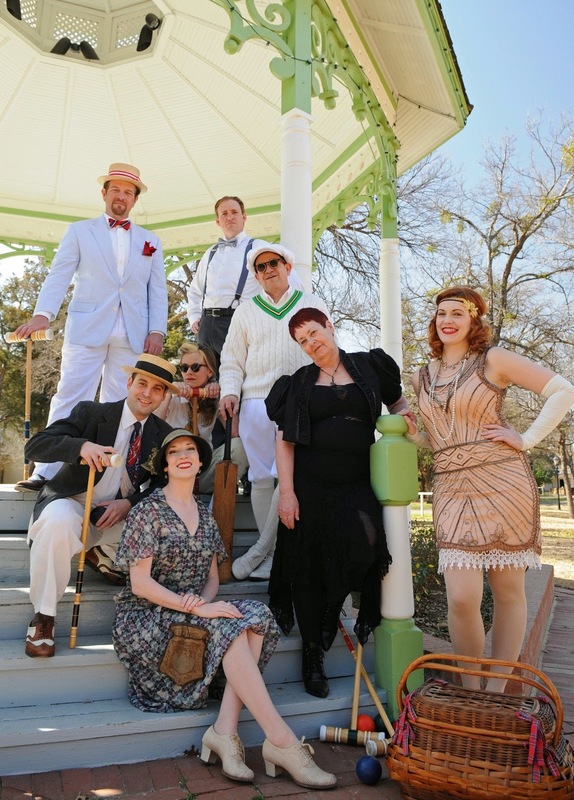 Presented by Dallas Heritage Village and the Art Deco Society of Dallas, this jazz age inspired lawn party will surround the newly restored Van Cleave Bandstand with an afternoon of live music, dancing, costumes, games, picnics, antique cars, vendors, and more. Learn vintage dance steps with instructor Elaine Hewlett of the Rhythm Room on the wooden dance floor set up on the lawn in front of the bandstand. Costumes are not required, but necessary for those wishing to participate in the 2:30 p.m. costume contest for best “Lawn Party Attire.” (Think vintage bathing beauties, parasols, walking whites.) Bring your cameras and pose in front of one of the Model A Fords on display from Vintage Coach. Select cars will also be available for rides. Try your hand at a game or two of croquet or badminton, tour the historic buildings of the village and visit with vintage vendors featuring clothing, jewelry, and antiques such as Tracy Popken, Savannah Hoffman Designs (vintage clothing), Ahoy Cruises (vintage-inspired cruises), Curiosities Antiques (collectibles), and Lush Life Antiques (vintage jewelry). Bring a blanket, lawn chairs and a picnic and soak up the atmosphere with your family. Enjoy turn of the century music by the 18-piece Singapore Slingers, the fox trot orchestra that the Dallas Observer calls, “the city’s coolest, quirkiest, retro jazz group” with five strings, four reeds, three brass, five rhythm players and event organizer Matt Tolentino leading the band. Razzmajazz will entertain guests with Dixieland Jazz and Swing Jazz performed in true MARDI GRAS / Roaring ’20s style, providing music and comedy with an emphasis on audience participation. In addition Bill Flynt and his 1923 Tangley steam calliope will fill the air with the sounds of Dallas’ original carefree lawn parties of the Roaring ’20s. Carnival Barker’s ice creams will be dishing up some delicious dessert, and Cokes, lemonade, and water will be available, all for purchase. Guests will also love ongoing Dallas Heritage Village activities such as tours of the Millermore and Sullivan homes and learning about the Village's history through the cell phone tour. Kids may also play in the Learning Lounge with trains, Lincoln Logs and doll houses, and the Blum Brothers store will be open for young shopkeepers, shoppers, and postal workers. Nip and Tuck will also be busy giving their ever-popular rides around the Village for 25 cents a person. Additionally, kids may make hats in a special craft activity. Dallas Heritage Village is located at 1515 S. Harwood, Dallas, Texas 75215. Kids 12 and under free. All others: $10.